Diagnostic wax-ups are a valuable case planning tool. 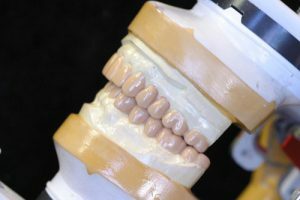 Each diagnostic wax-up includes model duplication & a clear preparation stint. A Sil-tech putty matrix and prep models are available for an additional fee.